Access to clean, safe water is a given for most people in first world nations, but billions of people live without the security of sufficient, acceptable water to meet their most basic needs to survive. When water is scarce and unsanitary, the impacts of climate change and conflict are intensified and can cause disastrous effects—often to women, children, refugees, and indigenous communities. The human right to water is this year’s theme for World Water Day, and it calls upon all of us to work toward Sustainable Development Goal 6: Clean Water and Sanitation, to ensure that we ‘leave no one behind’ in the global fight for the right to safe water. With the privilege of water security comes the responsibility to use water wisely and treat it respectfully. It is vital that people and businesses use water responsibly, both for the health of society and for their own financial well-being. It takes about 2,000 gallons of water to make one pair of jeans, and at least 13,000 gallons in the production cycle of an automobile, for example. If we continue at current consumption rates, by 2025—just 6 years from now—two-thirds of the world’s population may suffer from water shortages, putting companies in competition with people and farming. Companies that fail to manage water consumption efficiently and protect access to water for local communities risk impeding their ability to operate and damaging value. Boston Common engages in long-term dialogue with our portfolio companies on Water Stewardship and encourages them to set ambitious, public goals for reducing water use as one facet of our Eco-Efficiency initiative. We urge them to think beyond reducing consumption and consider water stewardship in the context of the Circular Economy. Companies that adopt Circular Economy concepts exemplify their leadership by finding ways to recycle waste water, for example, instead of disposing of it. We aim to help embed this concept at a management and corporate governance level, so that doing more with less is a consideration for every business decision. Challenge: Under the UN PRI water working group, we led an engagement with apparel manufacturer, VF Corporation, whose supply chain, if left unmanaged can bear significant impacts on local water resources. Action: Our dialogue with VF Corp began in 2013 with a focus on supply chain mapping, understanding exposure to local water risks, measuring and managing water usage in their supply chain, and collaborating with local partners and industry organizations to deliver water efficiencies. Boston Common filed a shareholder proposal in 2013. 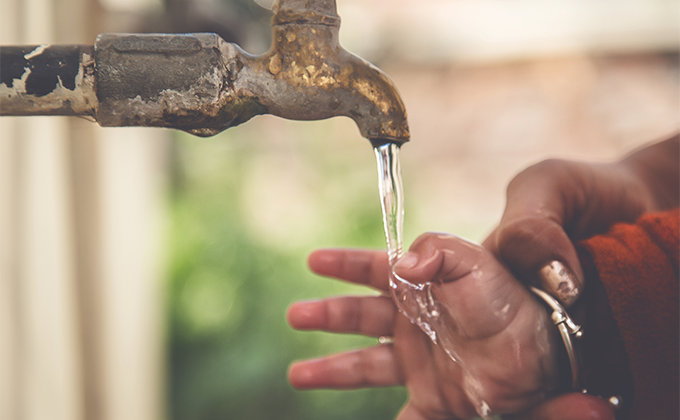 Responded for the first time to CDP Water in 2015, reaching a milestone in publicly reporting its approach to assessing exposure to water risks through its supply chain. Conducted a company-wide water risk assessment with the World Resource Institute (WRI) and Deloitte to identify water-related risks in the supply chain. As the water risk assessment covered approximately 75% of the company operations, VF Corp. has set a new target to cover 100% of operations in the next water risk assessment review. Responsible water use goes beyond protecting the fresh water sources that are consumed by industry. It is also incumbent upon us to preserve the oceans from devastating pollution and degradation, particularly from plastics. In the coming months, we look forward to sharing more on our new Plastics initiative in support of SDG 14: Life Below Water! On this World Water Day, we recognize the importance of water in our global economy and the need for both companies and individuals use water responsibly to support access to clean, safe water for all. The information in this article should not be considered a recommendation to buy or sell any security. For Gender Balance: Action, Alliance!